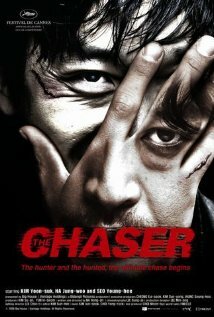 A while ago my lady and I sat down to watch The Chaser, a Korean film that was generating a lot of buzz at the time. A few minute in, a serial killer, after imprisoning a prostitute in a filthy bathroom/torture chamber, sets about trying to bash her head in with a hammer. Thinking we were in for another serial killer flick trading on the brutalization of women, we turned it off. Well, I tried watching it again recently, and, as surprising as this may sound, I’m glad I did, because it turns out that The Chaser is a textbook example of popular Korean cinema’s way of confounding expectations by tweaking well-worn conventions into something new and thrilling. It happens on a structural level, and it’s actually kind of subtle. It’s as if director Na Hong-jin and his co-writers Hong Won-chan and Lee Shin-ho dissected the structure of the traditional serial killer chase movie (you know the kind, there are hundreds), and at every point they could, chose the path of least cliché, creating a winding plot that swerves between the conventional and the implausible without dipping too far into either. A high-wire act essentially. Here is a film with few “positive” characters (its hero is an ex-cop turned pimp, who chases the serial killer not to save lives, but because he thinks he’s stealing and selling his girls) and loads of violence that somehow works as a smart, thrilling piece of entertainment. 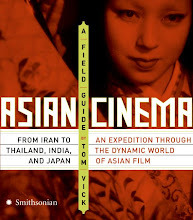 It won’t do anything to change the minds of those who still think Korean films are more violent than other countries’, but it does prove that it’s still possible to do something new with the familiar tools of genre filmmaking.